How Long Could It Take to Run a Regression? 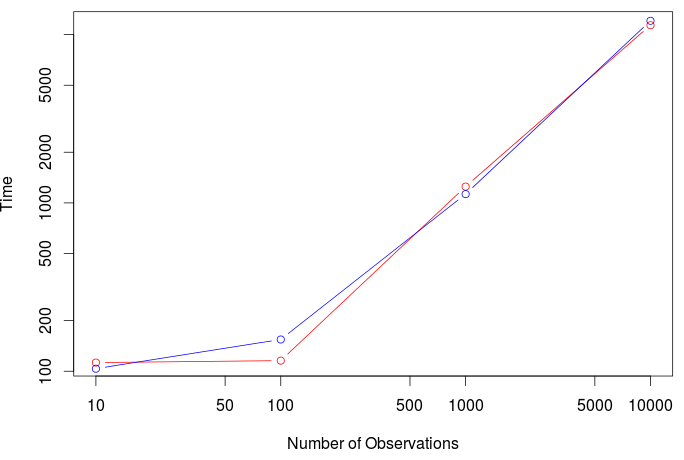 Is a Bayesian regression linear in the number of observations? This afternoon, while I was discussing with Montserrat (aka @mguillen_estany) we were wondering how long it might take to run a regression model. More specifically, how long it might take if we use a Bayesian approach. My guess was that the time should probably be linear in "n", the number of observations. But, I thought it would be good to check. 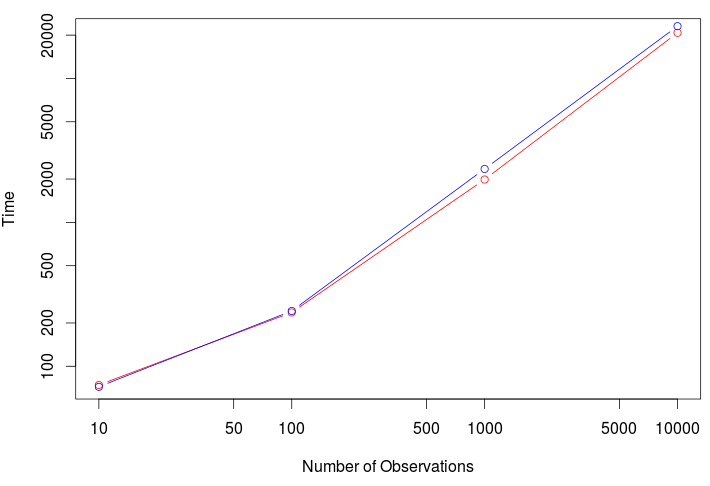 It looks like (if we forget about the very small sample) that the time it takes to run a regression is linear, with the two techniques (the frequentist and the Bayesian ones).